• Very sociable; participants can chat as they go! 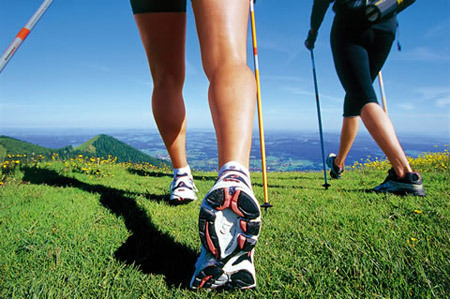 Nordic walking provides a full body workout in a fun, social environment within the Cotswolds and Warwickshire countryside. 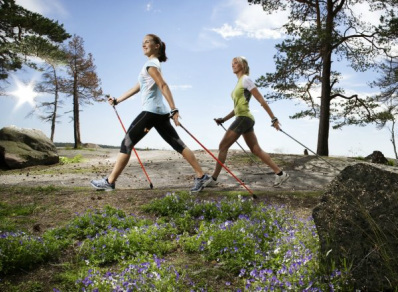 The use of Nordic walking poles (provided in all sessions) works small and large muscle groups in the regions of the chest, back, arms and shoulders as well as your legs. The rhythm of the poles enable you to work harder than you initially feel. We run a number of different classes and programmes throughout Warwickshire and the Cotswolds for beginners, ski fit training, circuit training with Nordic walking poles and workout walks. We welcome individuals who feel they would benefit more from a one to one personal training session that is designed specifically for you and your partner, or you and your friends?